Provide comfort for the family of Pauline Elcheson with a meaningful gesture of sympathy. 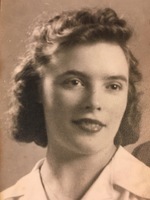 It is with deep sadness that the family of Pauline Elcheson (nee Slobodzian) announce her peaceful passing at home with family by her side on April 06, 2019 at the age of 97. Pauline was born on September 16th1921 in Fort William, Ontario and grew up in Stanley. She married the love of her life Steve Elcheson on May 31st1941. They settled in the city of Port Arthur, worked hard together, built the family home and were blessed with five children. Four sons and one daughter. Family was everything to mom, staying at home supporting the family interests. 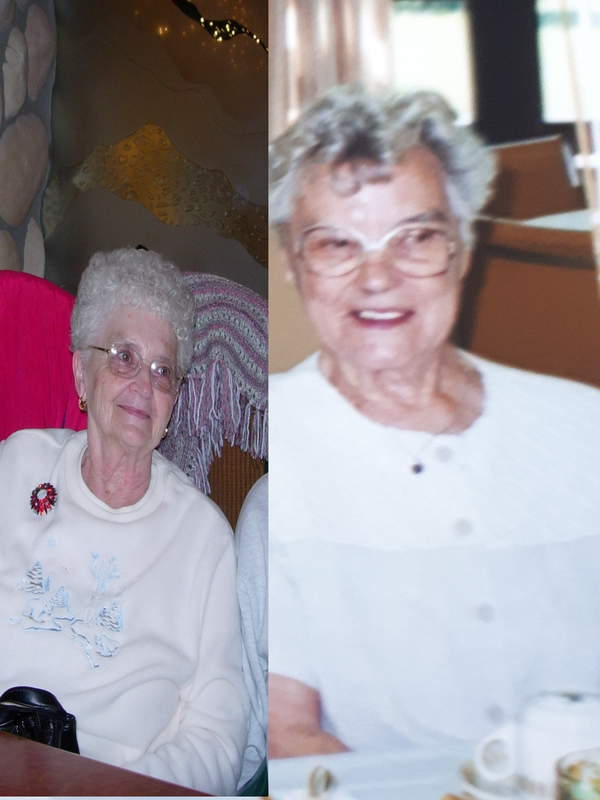 She was a master of providing delicious foods from her proud Ukrainian heritage. The aromas are locked in the memories of our family and friends forever. Cabbage rolls, perogies, borscht, dill pickles and special pastries. If you could name it, Mom could make it. Mom made everything taste the best with her fresh produce from the home garden. No one left hungry. 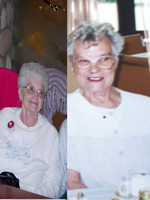 Mom’s heart was filled with pride and joy when Grandchildren and Great grandchildren arrived. She shared her unconditional love with limitless hugs and kisses. Everyone was made to feel special. Along with her culinary skills, singing, music, drawings, growing beautiful flowers were also in her creative repertoire. Her love extended to the numerous pets that found their way to our home. Her commitment to family life was honest and without complaint. She was composed and dignified in a humble manner. She often said, as her health challenges grew “that’s just the way it is, dearie”. She trusted in God, knowing that she would be reunited with her husband Steve when the time was right. Funeral service will be held Friday, April 12, 2019 @11:00 a.m in the Chapel of the Sargent & Son Funeral Home, 21 N. Court Street with Rev. Victor DeGagne presiding. Interment in St. Patrick’s Cemetery to follow the reception. Visitation will be held one hour prior to service. Should friends desire, memorial donations to the charity of one’s choice would be appreciated. On-line condolences may be made at www.sargentandson.com. To send flowers in memory of Pauline Elcheson, please visit our Heartfelt Sympathies Store. Provide comfort for the family of Pauline Elcheson by sending flowers. My condolences to you and your family Joey. To my best dear friend Polly...we had lots of good times and laughs that we enjoyed together. This is good-bye for now until we meet again. I will always remember you "Dearie", all my love, your friend forever, Jessie Bilenki. To Joey and family....your Mom & Dad were great neighbours for the 40 years we lived next door to each other. She's now with Steve and maybe they'll see Jim and share some fish. They always like getting some fresh fish when he went fishing. Prayers to you all.